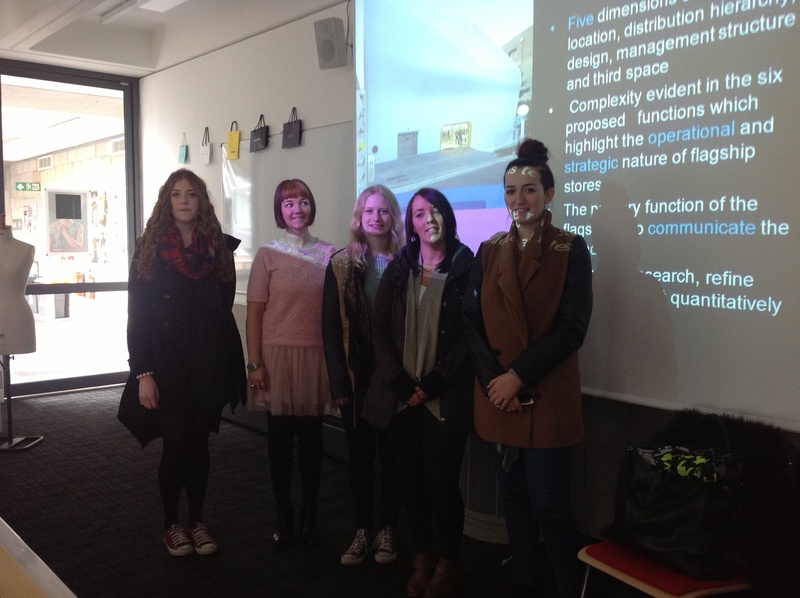 Karinna Nobbs of London College of Fashion presented some of her research on flagships to stage 4 fashion and retail management students as part of their international retailing module. Karinna ‘s research has examined some of the entry method literature and form that a fashion retailer takes when entering international markets. Some interesting perspectives are identified being that many luxury fashion retailers have realised the need to adapt their merchandise, something new to them as adaptation had never been a concern before. Additionally she has identified that flagships tend to be on a much smaller scale in emerging markets. Thanks Karinna for your insight today.